With a sleek, three-wheel design and aluminum frame, the Viaro offers lightweight maneuverability for everyday usability. Never sacrificing functionality for convenience, the Viaro is designed with a one-hand quick fold. A pull-strap and button are conveniently tucked under the seat and easy to activate simultaneously for a compact, free-standing fold. The stroller is even easier to open again after closing. For little riders, Viaro includes a detachable tray with two cup holders, adjustable canopy, and multi-position backrest. A swiveling front wheel and suspension help maintain a smooth ride from surface to surface. Toe-tap rear brakes keep the stroller in place when parked. For parents, Viaro features a padded push-handle, parent tray with two cup holders, and a large basket that is easily accessible from the front or back. 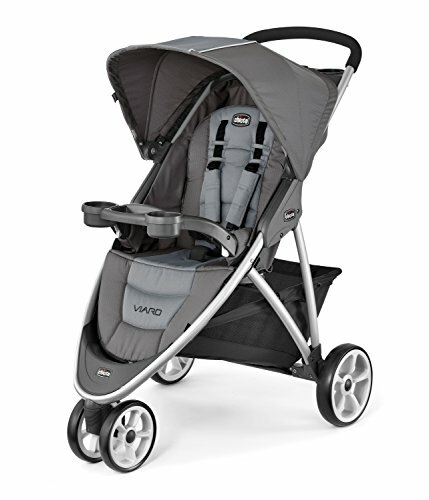 For use as a travel system, the Viaro accommodates all KeyFit infant car seats with easy click-in attachment.